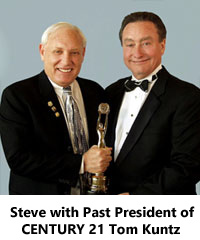 With more than 30 years of dedicated experience in the real estate industry and being in partnership with the Number 1 CENTURY 21 Office in the World...Steve continues to receive numerous awards both regionally and nationally. He is truly a seasoned negotiator that works in your best interest and believes "Experience isn't Expensive...IT'S PRICELESS". 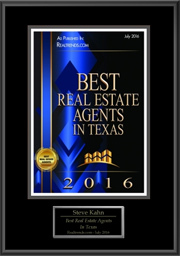 Over 30 Years of Real Estate Experience in the DFW Metroplex Area! On Friday, December 12th, Steve Kahn was invited with other members of CENTURY 21 Mike Bowman, Inc. to observe Wall Homes and ABC's network show Extreme Makeover Edition making a Keller family's new home dreams come true. 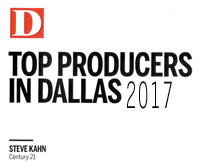 You also achieved the status of Grand CENTURION® and we are proud to announce that you have been recognized in D Magazine as a "Platinum Producer". These accomplishments are produced by less than 1% of the total sales professionals in their respective markets. Again, we are proud of you and your accomplishments and look forward to a very successful 2017! You DO live up to your reputation, Steve. Thank you for ALL you do for our buyers!!! Steve, you are a jewel!!! Thank you for the great service. I would like to say that Steve and his team did a fantastic job at listing and selling my house. It was very easy on me, and I did way better than I thought I would. I would keep DR Horton business headed in Steve's direction. Steve, You are an amazing REALTOR in every way. Steve was great to work with. He was always honest, professional, and accessible! No matter whether we needed to have a question answered or help with contractors, Steve always went the extra mile to ensure we were taken care of. 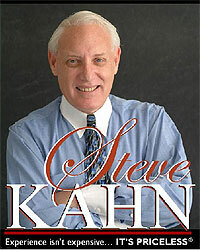 We would highly recommend Steve Kahn to anyone who is looking to get top dollar for their home and is willing to follow the suggestions made by him. Steve's team was very instrumental in our successful sell of the house and I don't think that we could ask for a better team than what Steve Kahn and Century 21 Mike Bowman, Inc. provided for us!!! You are so sweet. Selling a house is tough, but you kept me focused and I will always be grateful for the many above and beyond you did throughout. I am so glad and relieved to be out of the house--really love my new place, and you helped get me here. Thank you on all levels. Thank you on all levels! Thank you Steve Khan for everything!!! You made the impossible look easy and we are very glad that you were our agent. I would recommend you to all my friends and family. Thank you again!! Thank you so much for all your help Steve. Thank you for your patience with me during the process. You were always prompt to call me back and answer all my questions. If I ever need to move again, you will be the first person I call. I've already referred 3 friends to you, you definitely made this process a lot easier for us, I give you 5 Stars!. - Brenda Read, Escrow Officer. 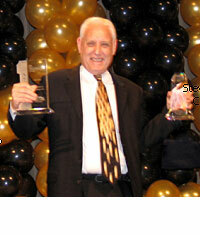 - Chris and Jacette S.
That's because Steve Kahn with Century 21 Mike Bowman's Office had my back!! :) Thanks for everything!! 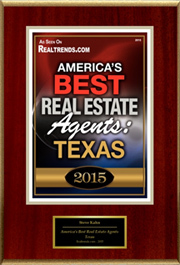 Congrats on being chosen as a 2015 Five Star Award REALTOR® for the upcoming June Issue of Texas Monthly Magazine! You scored in the top 4% for client satisfaction out of all the agents/brokers licensed in Dallas Forth Worth Area, and the only way you can be chosen is by one of clients bringing your name forward! This is an honor that directly reflects your clients' esteem for your professionalism! - Gretchen and Johnathan D.
- Mark and Jane R.
Thank you so much for all you did to make this transaction work and happen within the timeframe we had to work within. Your service is unparalleled to others. YOU ROCK!! 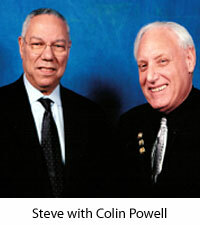 I really can't say enough about Steve and his success with my folks. I'll definitely pass along your name to anyone that's looking for a good realtor. A simple thank you doesn't covey how much we appreciate all you did. We will recommend you highly should the occasion arise, and if we are ever in need for a realtor, you definitely will get our call. Best to you always. Thank you Steve, we appreciate all of your assistance to help make this a smooth transaction. We were very impressed with the pictures, the website, and the service we received from the entire staff. We will definitely pass your names along. Dee Dee (DR Horton) has been fantastic to work with and we are excited to move onto the next steps in this process. Congratulations Steve and God Bless. And special kudos for your picture perfect pass out souvenir that closed the deal! Steve helped a little...like a little tidal wave!! What a guy! Astounding professional results!! With multiple offers it sold Sunday for the full asking price about 25 hours after it hit the internet. The community comes to you for answers. We are so proud of your work and not surprising results. You were amazing in all the ways you helped me with the sale of Andy's house and I've been thinking of how to say thank you, and this said it well....you were in my life for a reason and a season....thank you for doing it so well. Steve, I wanted to personally thank you for your part in making this transaction come together for my clients, the Atkinson's. While it was a bit of a nightmare at times, you were always courteous, helpful and understanding. I hope our paths cross again in the future. "Thanks for all your hard work and thoughtfulness. We wanted to be sure to thank you for all the work you did to find a new owner for our Mesquite home. Times are tough in the real estate market as evidenced by the number of contacts and the time it took to find a buyer. We appreciate your unwavering loyalty and commitment to us in completing the sale. Thank you all so much for all you’ve done for us...you have been amazing! Steve---you came thru for us like a champ!!!!!!!!! We will pick up the keys to our beautiful new home tomorrow. BRAVO for coming thru for us! Our heart felt thanks for your efforts and excellent results. You sold our home and helped us find a new one...all in record time! Your idiom, "Experience isn't expensive...IT'S PRICELESS" (C) is 100% accurate. We could not have asked for more experienced realtors and have already referred you to several people. Getting a home sold in 5 weeks is almost unheard of in this market. Thanks again. If either of you ever need a reference please don’t hesitate to call. Hi Steve, thank you so much for everything you've done. Selling a house at this time is a challenge but you still manage to pull it through and close the deal in less than 2 months. I just thought that you deserved a BIG pat on the back for helping me to find that special home. I really feel you have been an "Angel" watching over me through out the entire process. Everyone tells me that I deserve this house and needed a break for once. Thanks again for all your help! I absolutely love the home! Steve, Thank you again for all your help when Jesse & I flew out to Texas to look at homes. You showed us some great stuff. You listened to our needs and found us our dream home!! Thank you SO MUCH!!! Steve, Thank you so much for helping us find a new home in Flower Mound. We absolutely love the neighborhood and this part of the Metroplex. 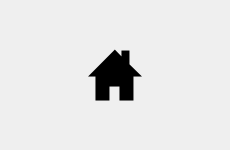 We will be sure to refer any prospective homeowners to your office. Thanks again. I wanted to drop you an email telling you that the sale of my previous house in Keller is complete. I also want to point out again how pleasantly surprised my wife and I were with this process. Three years ago when we bought our darling home from you we were worried when our other house would not sell. Steve arranged for it to be leased, and last month the renters moved out, he jumped back on the case, had lots of visits and an offer within three weeks. Please accept my thanks and gratitude with your trade out a home program. I want to thank you for doing such an excellent job marketing the house! Although the offers were a little low and not enough to pay off my mortgage, I have had quite a few offers since I put the house on the market with you. Some time ago, I listed my house with two other agents and your office produced more showings and offers than BOTH of the other agents combined. It is a very tough market with lots of competition yet you did a great job. Once again, I appreciate all that you have done in the past and would love to re-list with you in the spring after I add new tile, fresh paint and touch up the landscaping a bit! You guys are great!